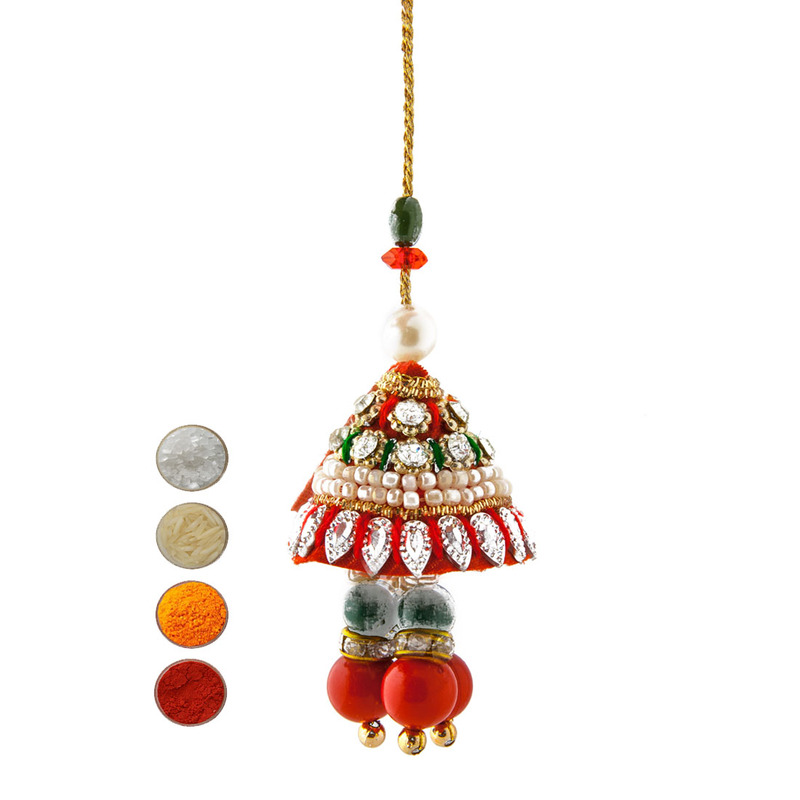 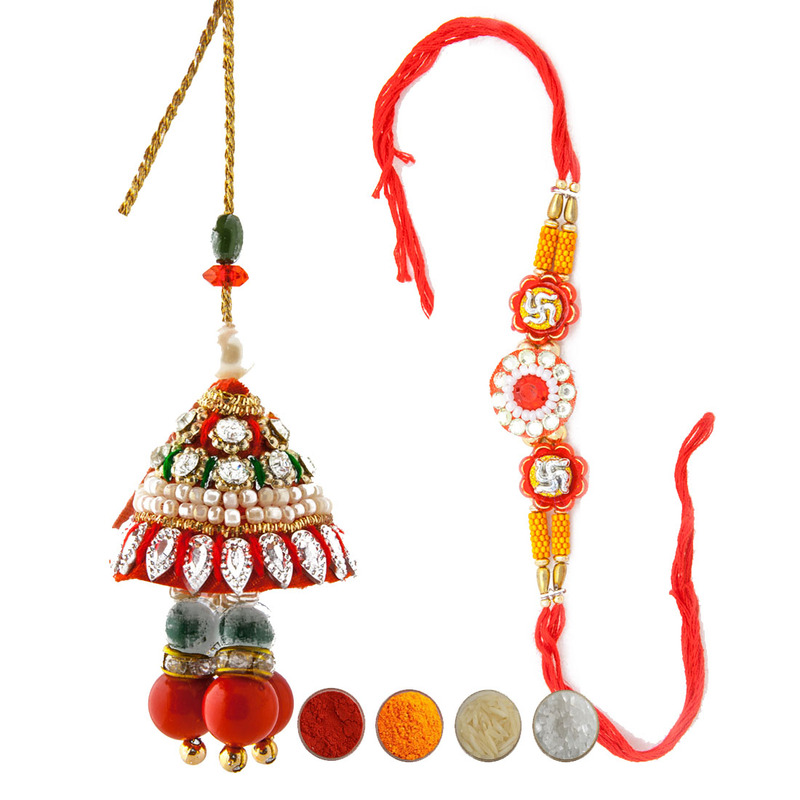 This is a set of three premium quality fancy beads rakhis having attractive Resham Dhaga, Silk threads. 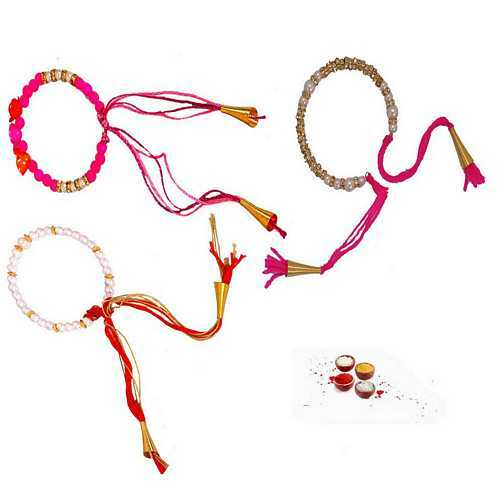 The set consists of Pink and white pearl beads rakhi in maroon and pink thread, diamond aura premium stone and pearls rakhi in pink Resham Dhaga; shimmering white pearl rakhi in red and golden threads. 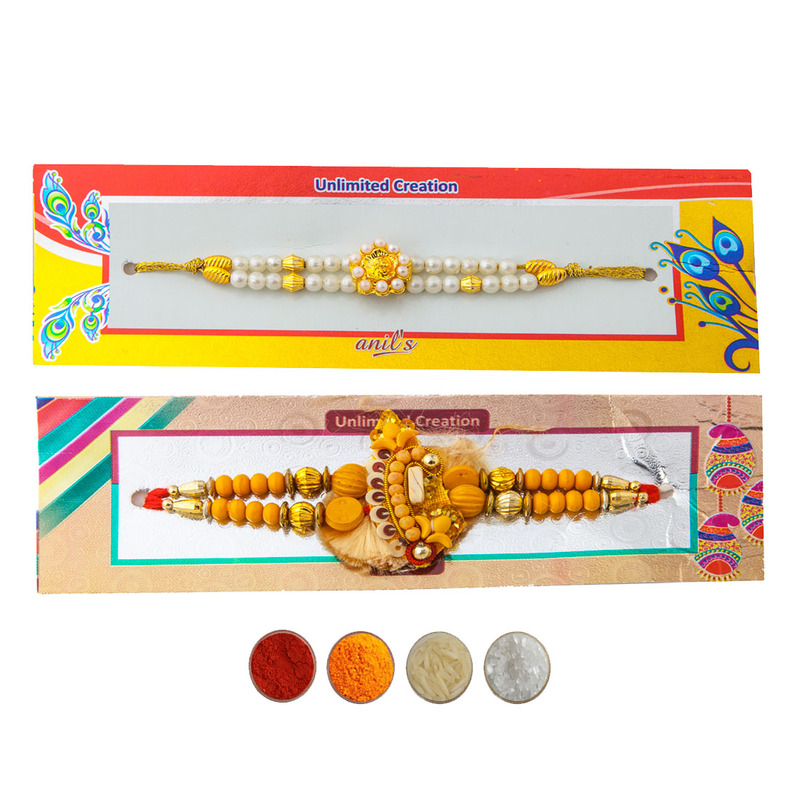 Impress your Bhaiya with threes three beautiful rakhis on this Raksha Bandhan festival. 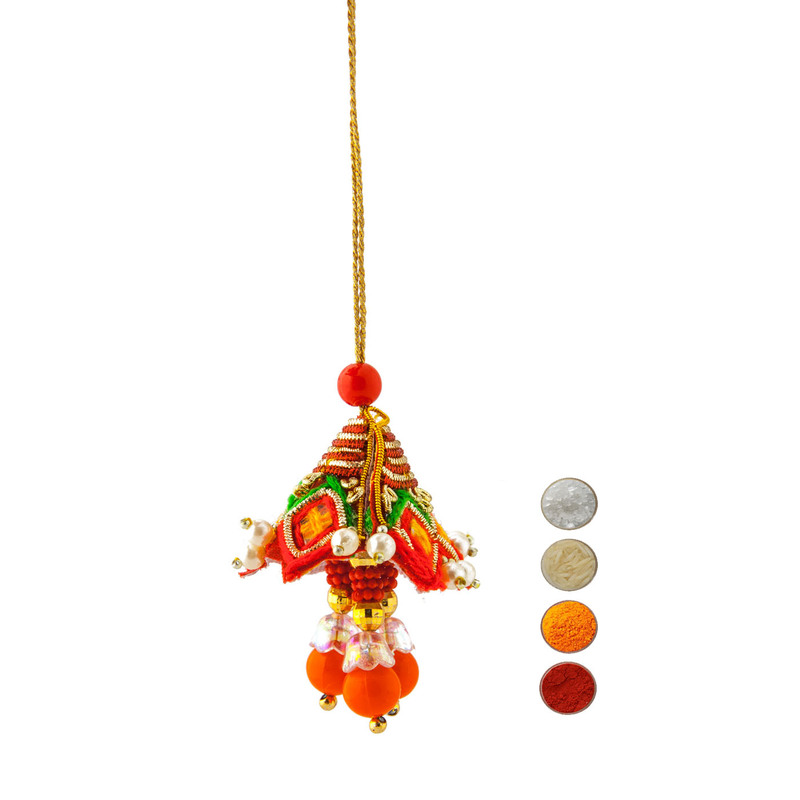 Convey your wished and love to your brothers. 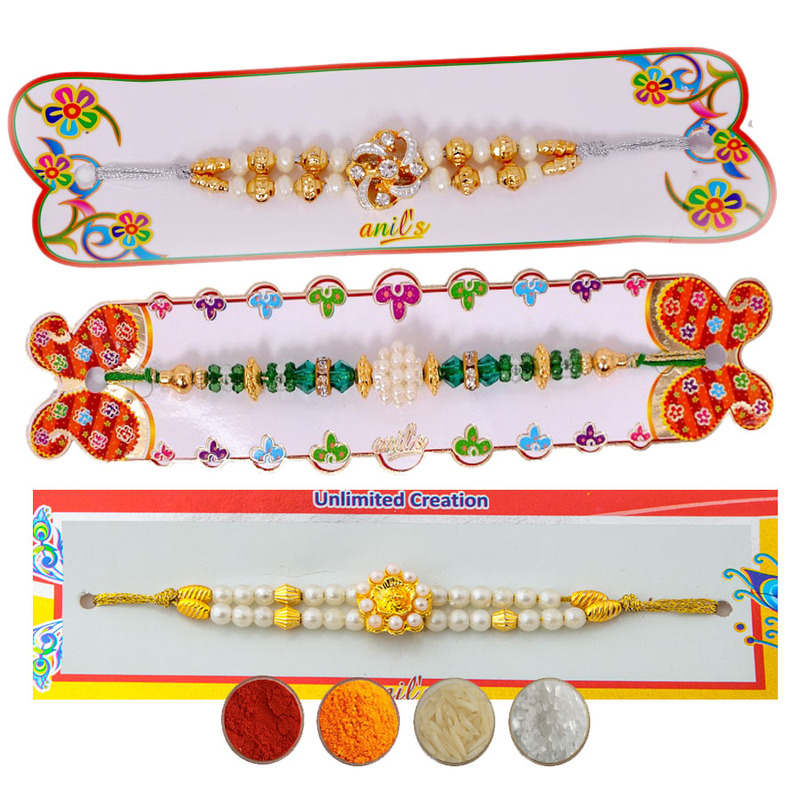 We offer rakhis with complimentary Roli, Chawal, Chandan and Mishri in attractive pack.